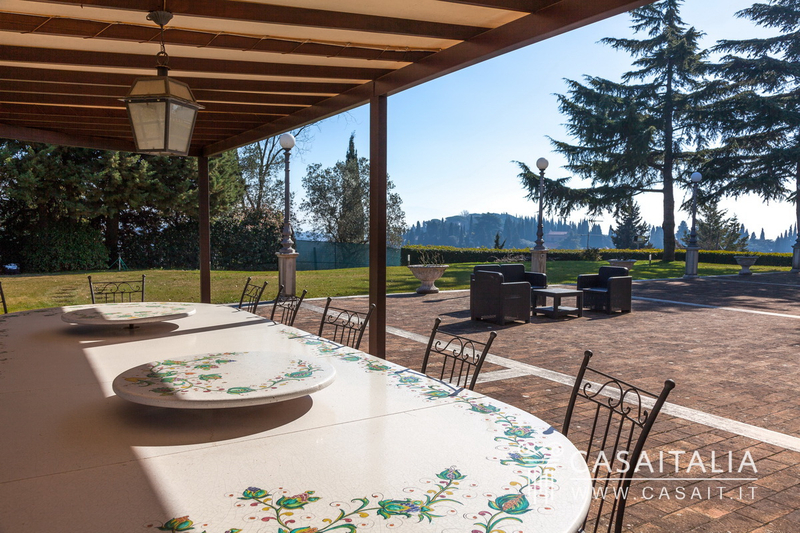 Exterior Lighting, Large Open Gathering Space, Outdoor Living Space, Security Gate, Sunny Area(s), Terrace. 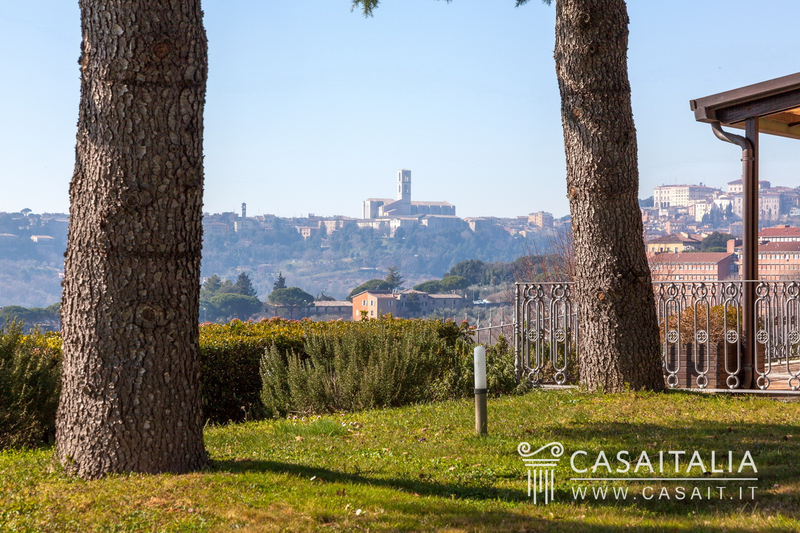 City View, Garden View, Hills View, Open View, Panoramic, View. 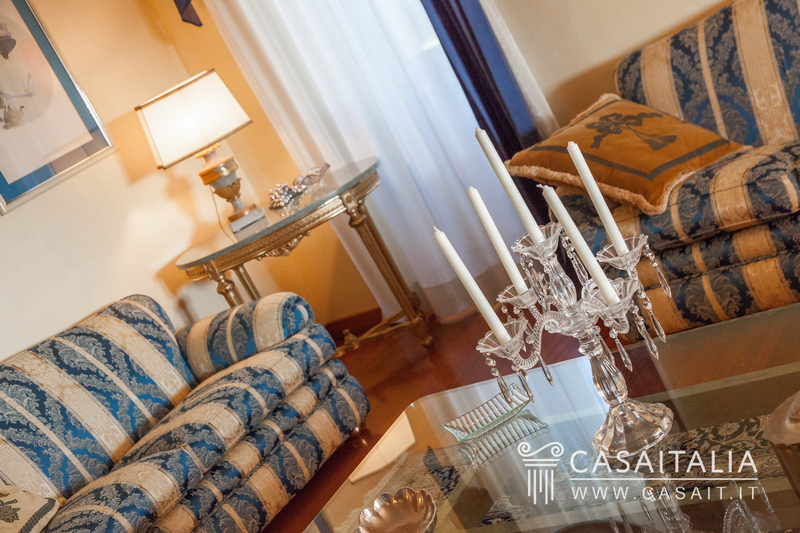 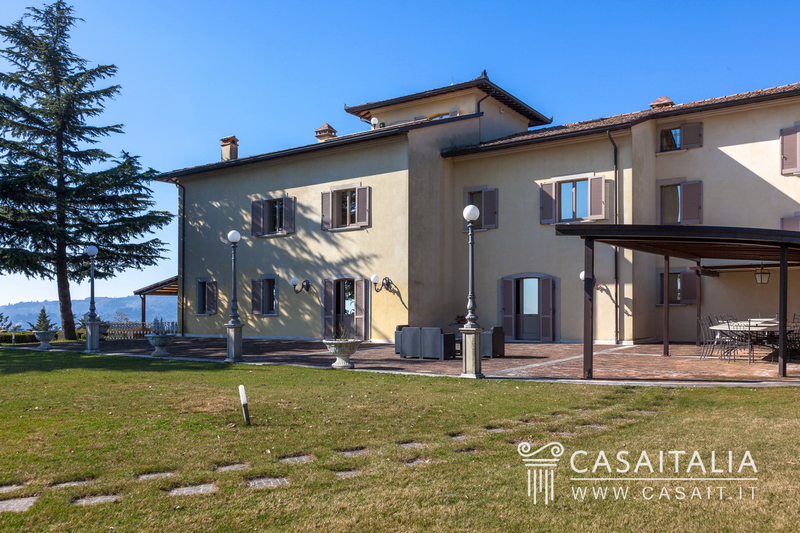 Description of buildings Villa Monteluce is the result of the restoration of a large farmhouse from the early 1900’s. 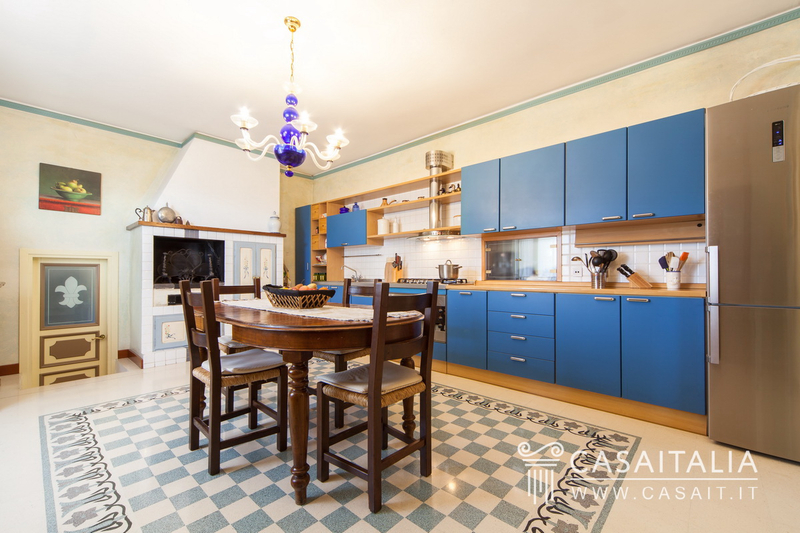 With two staggered floors, it has a total surface area of 596 sq.m, plus over 105 sq.m of storage space in the basement, 127 sq.m of wardrobe/loft space on the first floor and 95 sq.m of garage space. 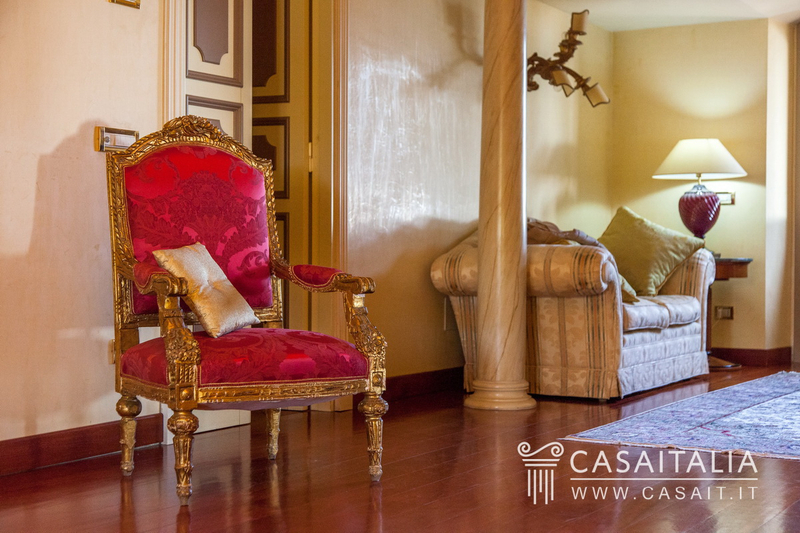 The villa, which features a typical tower, is currently divided into two apartments, but would be easily converted back to one residence due to the internal door connecting the two units. 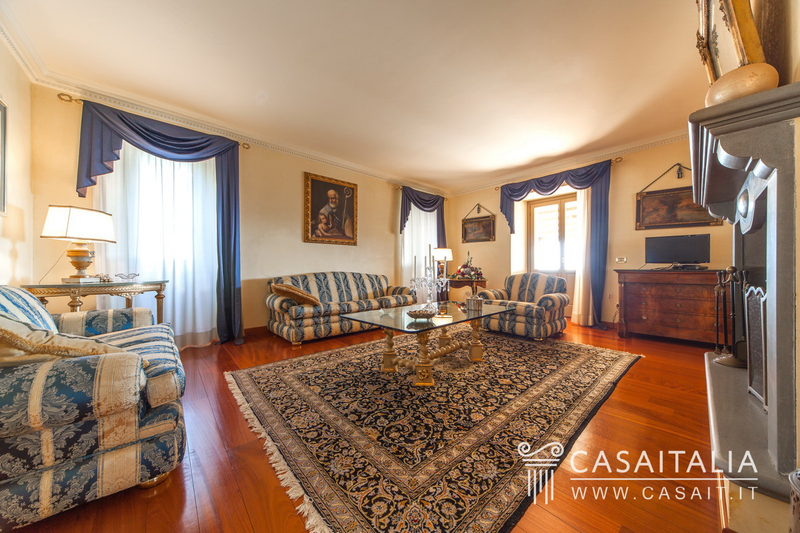 Apartment 1, which measures around 530 sq.m in total (105 sq.m of which is storage space), has the whole of the ground floor as living space, with two large living/sitting rooms with access to a pretty, panoramic terrace, the kitchen with pantry and storage cupboard, a bathroom and a large hallway with an open staircase leading to the sleeping area. 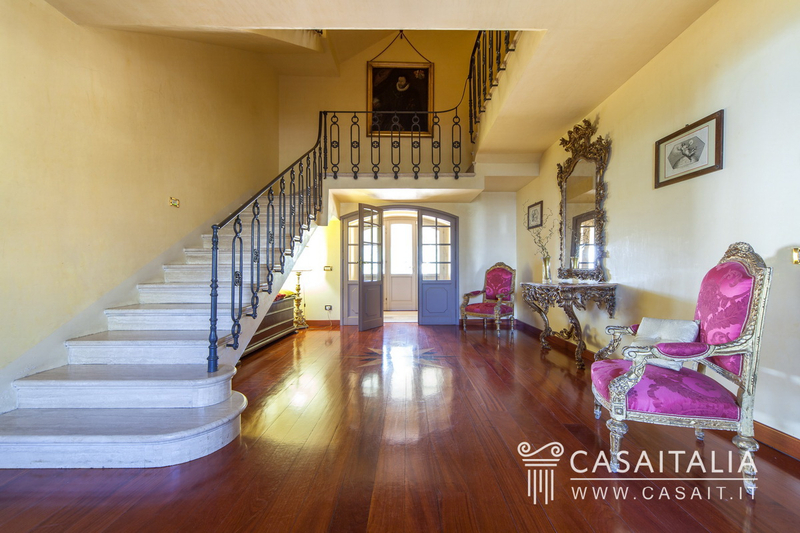 On the upper floor there is the master bedroom with walk-in wardrobe and en-suite bathroom, two further bedrooms and a bathroom. 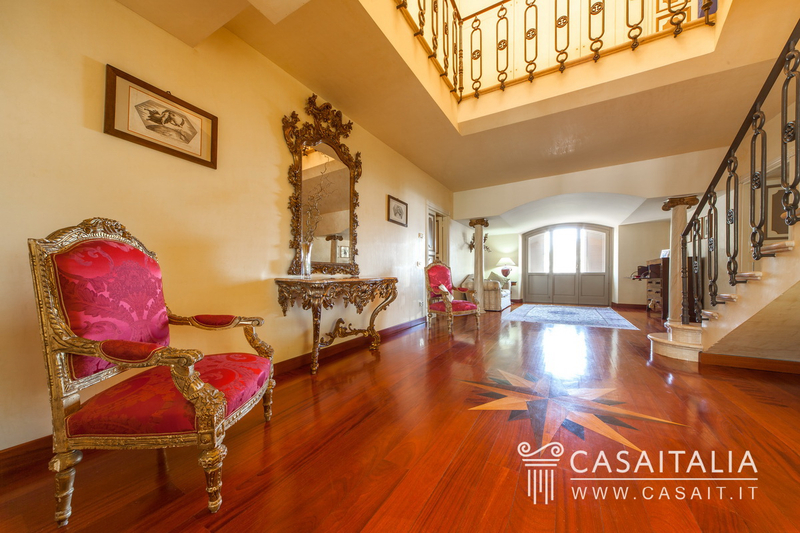 In the hallway on this floor there is a door with access to the second apartment. 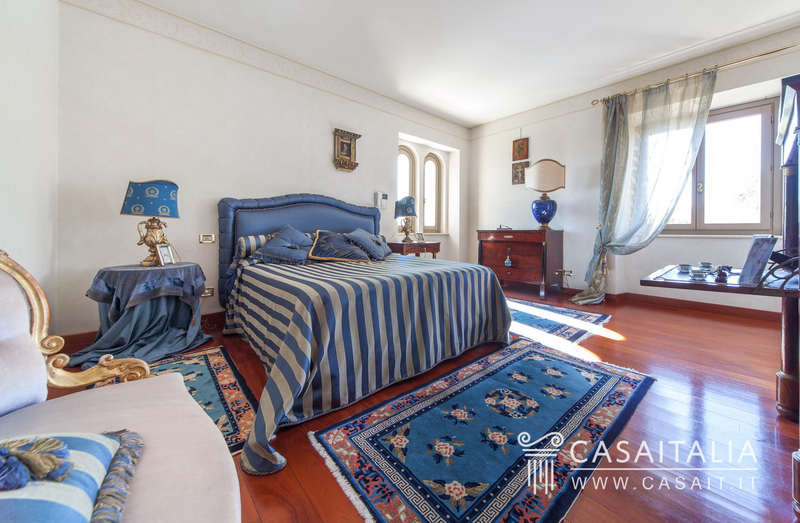 Upstairs, there is the picturesque, panoramic tower, currently used as a studio but which could also be used as a bedroom. 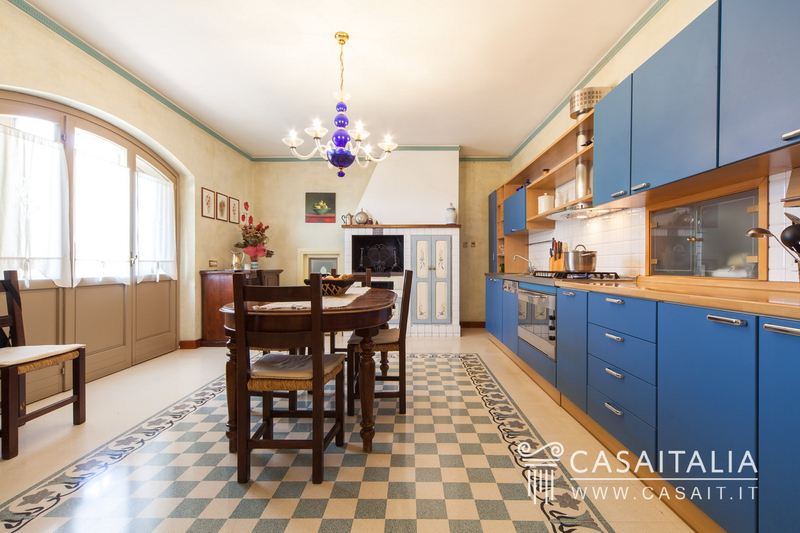 On the basement floor there is the storage space for the house: a storeroom/cellar, the central heating and a place to store tools with its own entrance from outside. 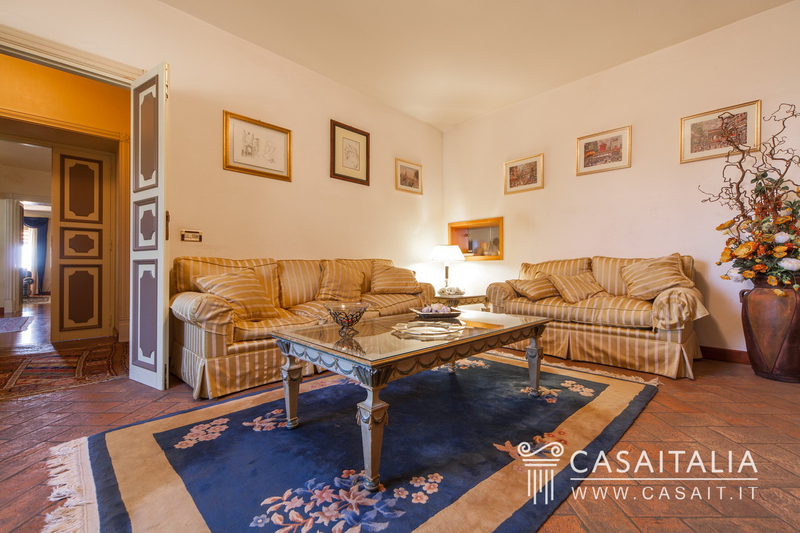 Apartment 2, which measured around 296 sq.m in total (127 sq.m of which is wardrobe/loft space), occupies mainly the raised ground floor, where there is a good-sized living room with access to a large terrace, the dining kitchen and two bedrooms with private bathroom. 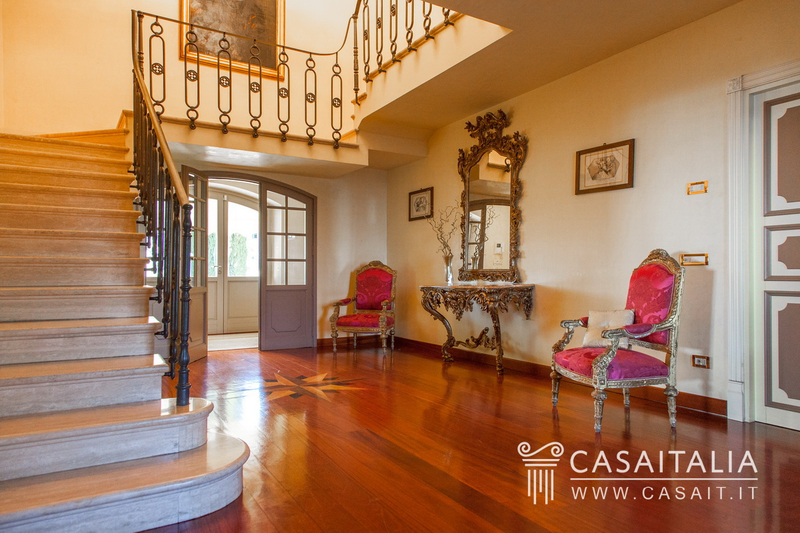 On this floor there is the connecting door to the other apartment. 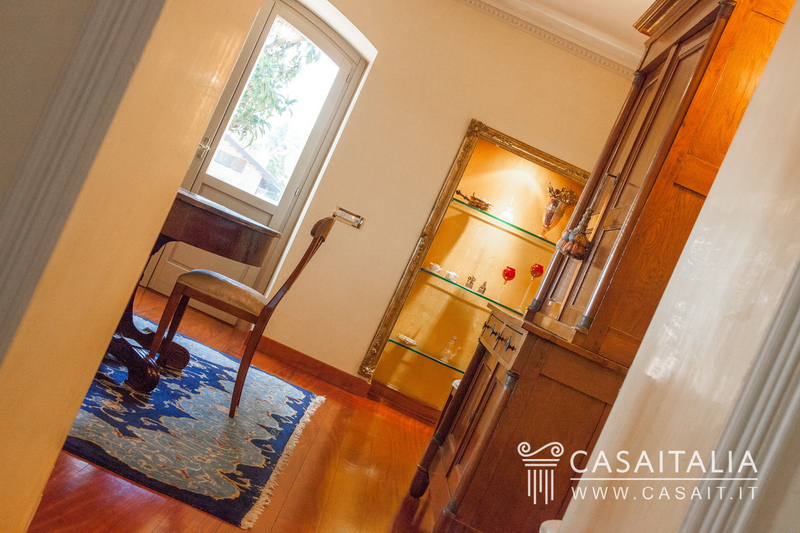 The upper floor, intended for use as loft space, is used as a large dressing room due to the height of the space which goes from a maximum of 2 metres to a minimum of 50 cm and features convenient, made-to-measure wardrobes. 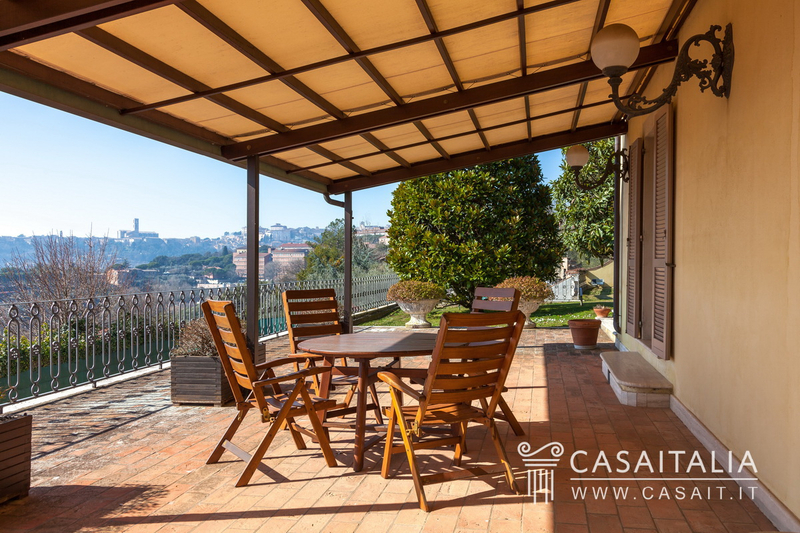 From here there is access to a spacious terrace. 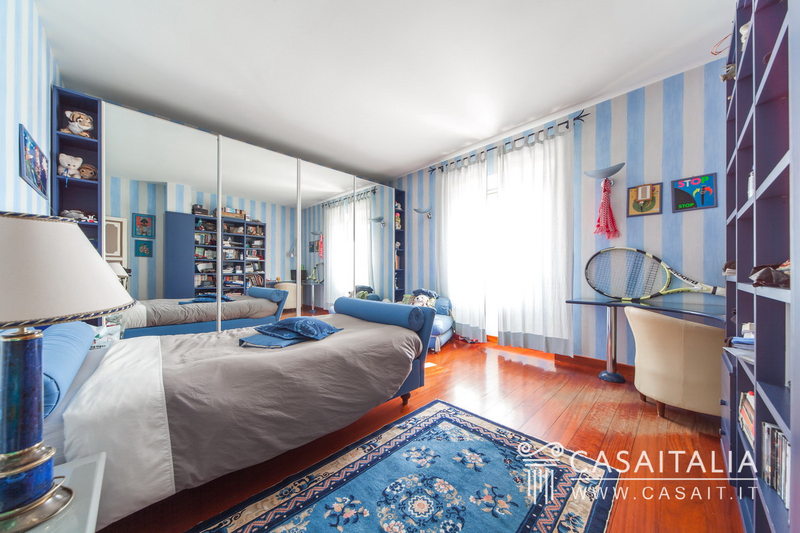 Finally, on the basement floor there is a large, shared garage and the central heating, with a total surface area of 95 sq.m. 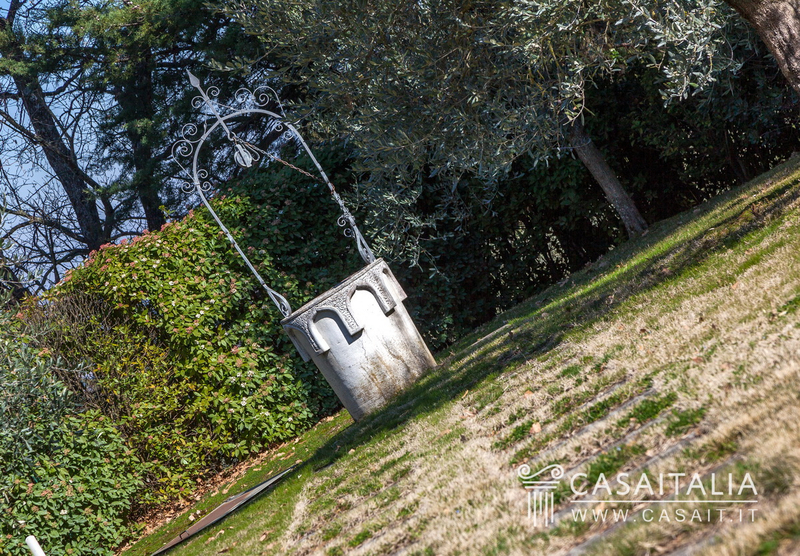 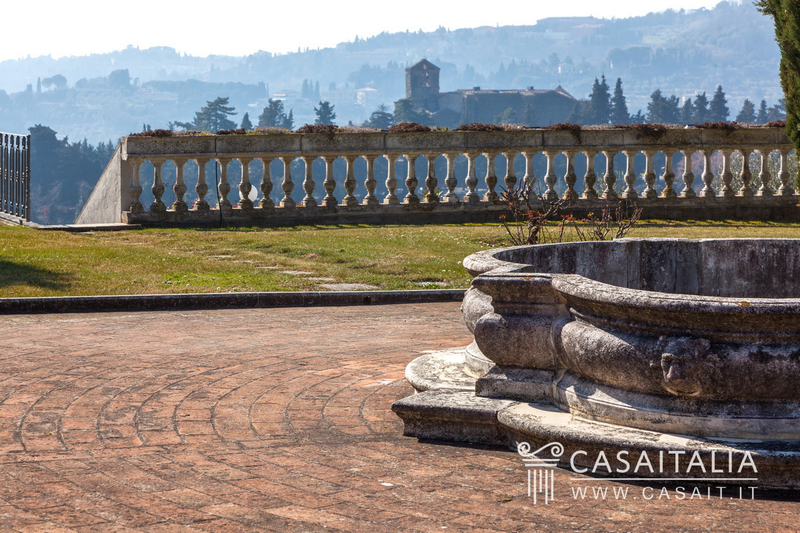 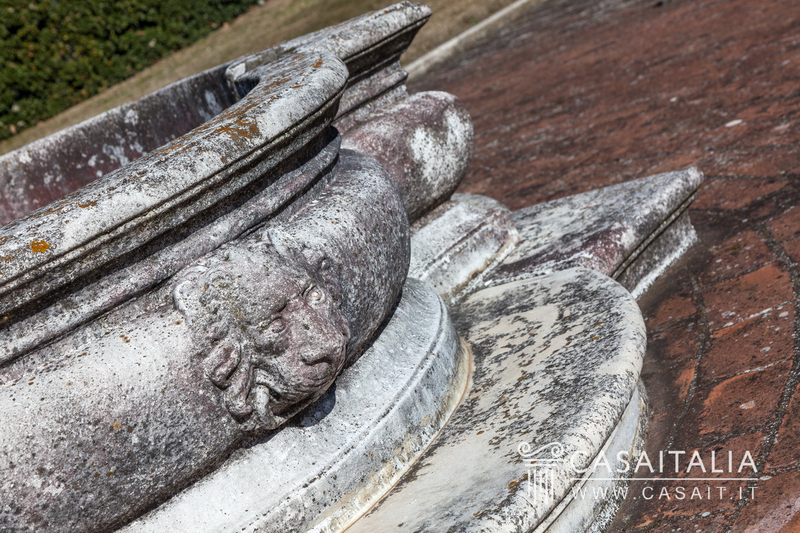 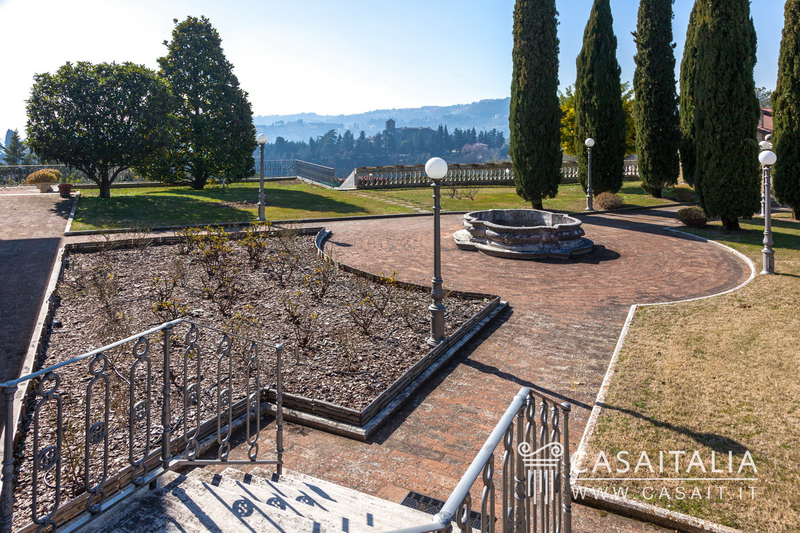 State and finishing Villa Monteluce has been restored and is currently in good general condition. 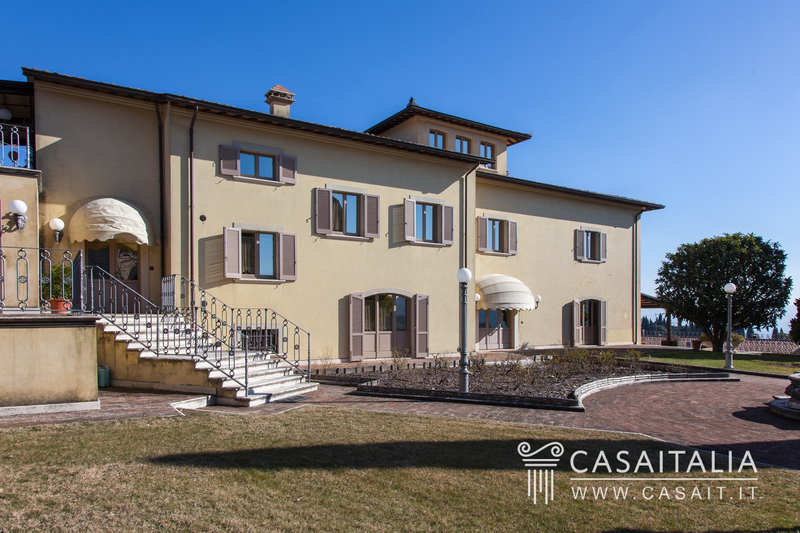 The indoor spaces are bright and well-finished with large windows and French doors overlooking the garden and the beautiful surrounding views. 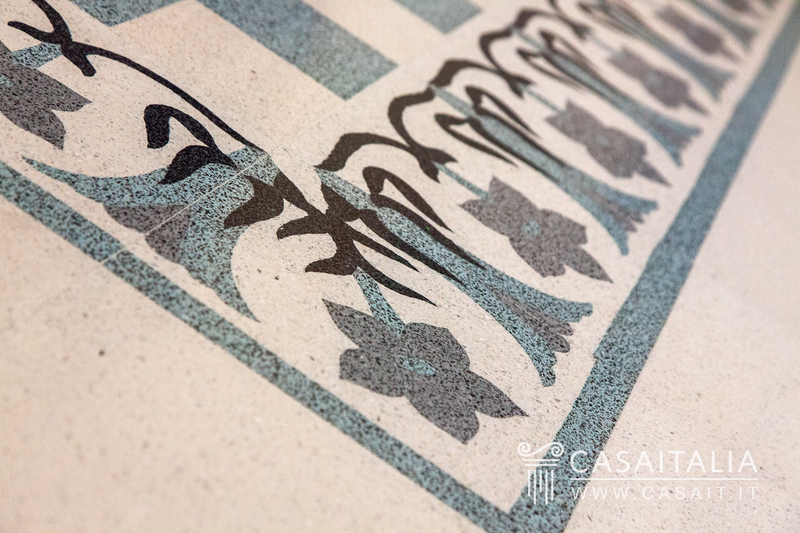 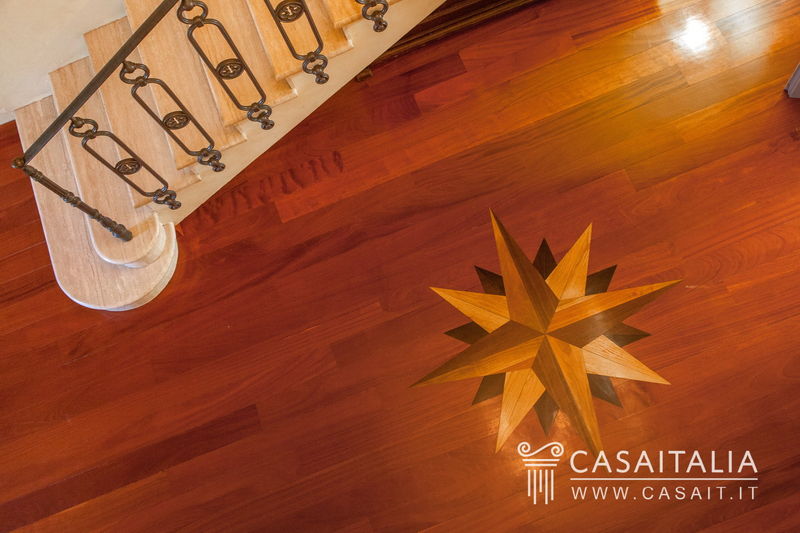 The floors are mostly wood, with a pretty inlay in the hallway of the larger apartment, and tiles. 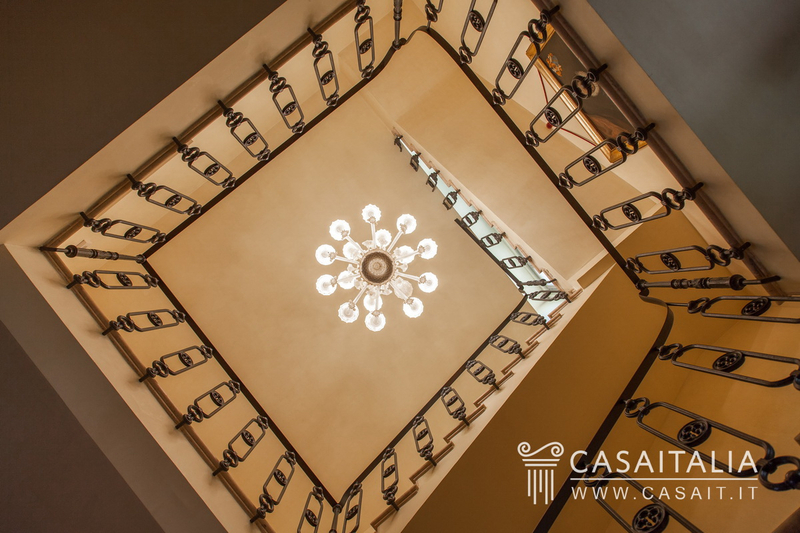 The central staircase, also in the large apartment, gives the residence a certain elegance and attention to detail. 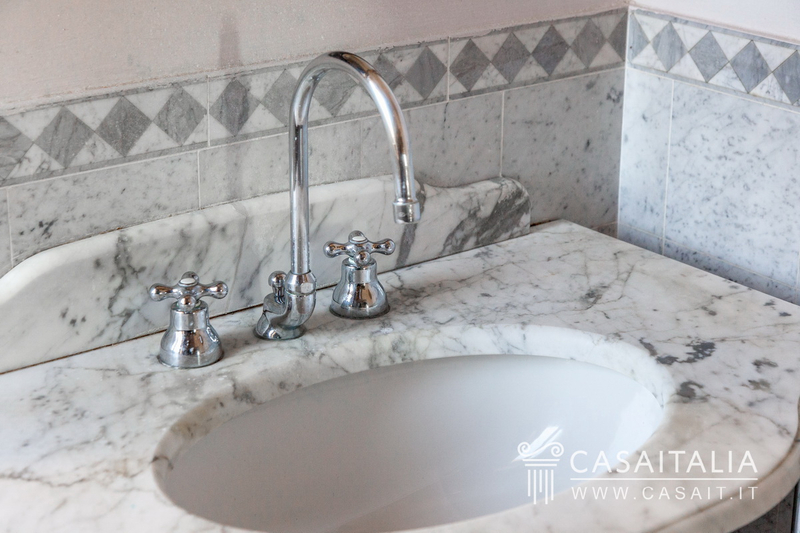 The bathrooms, while well finished and built with the highest quality materials, would benefit from some minor maintenance work. 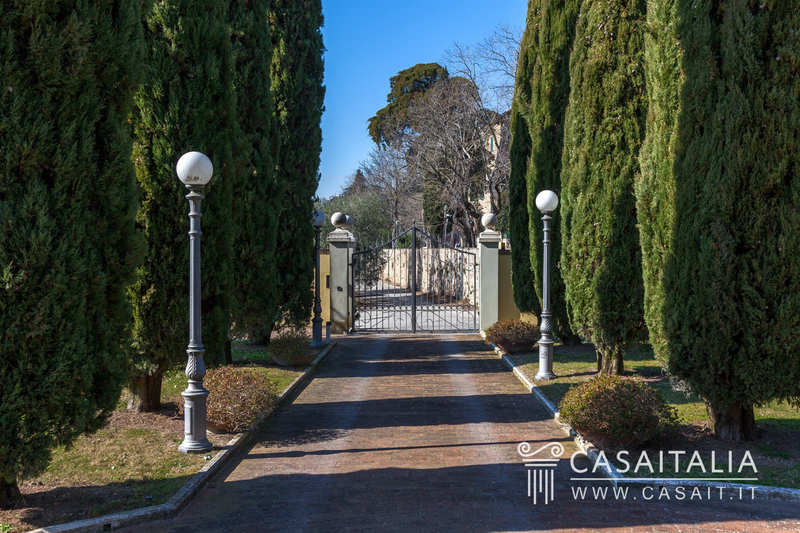 External areas The villa, which is in a hilly and panoramic location, is surrounded by around 3,500 sq.m of grounds, some of which is garden and some paved. 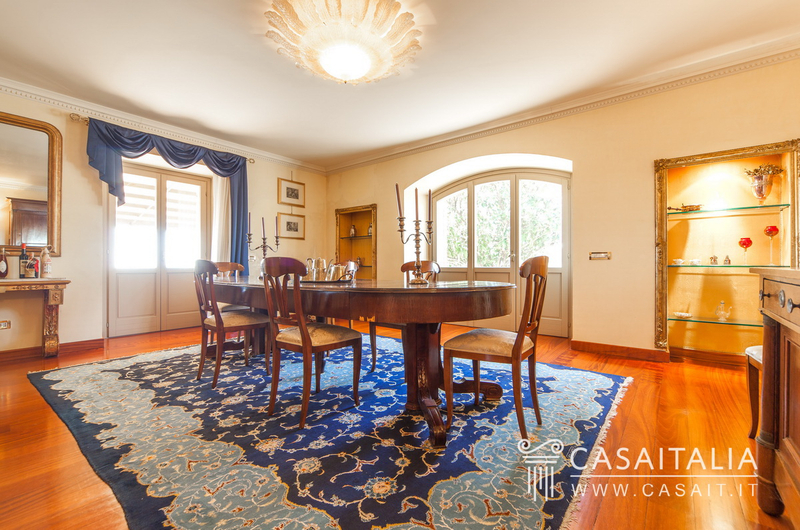 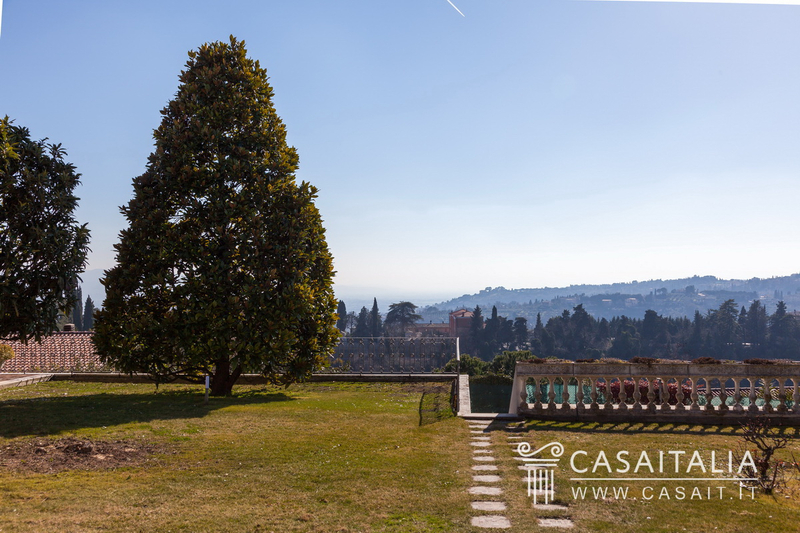 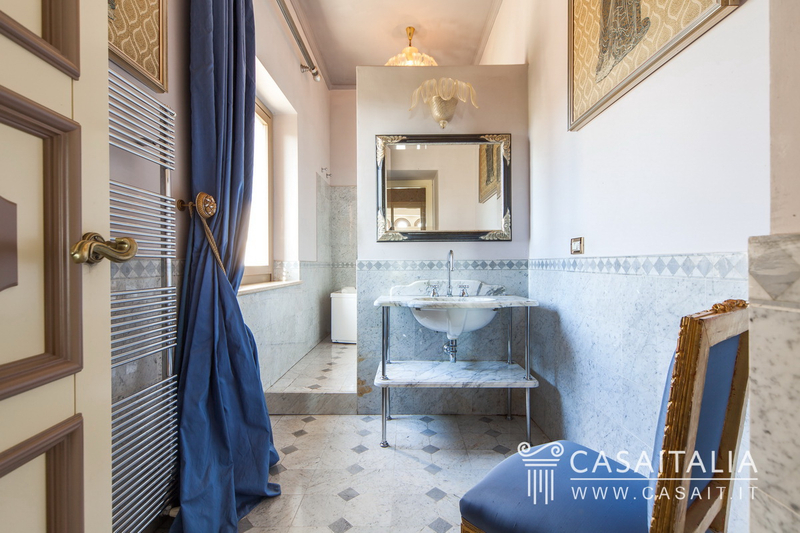 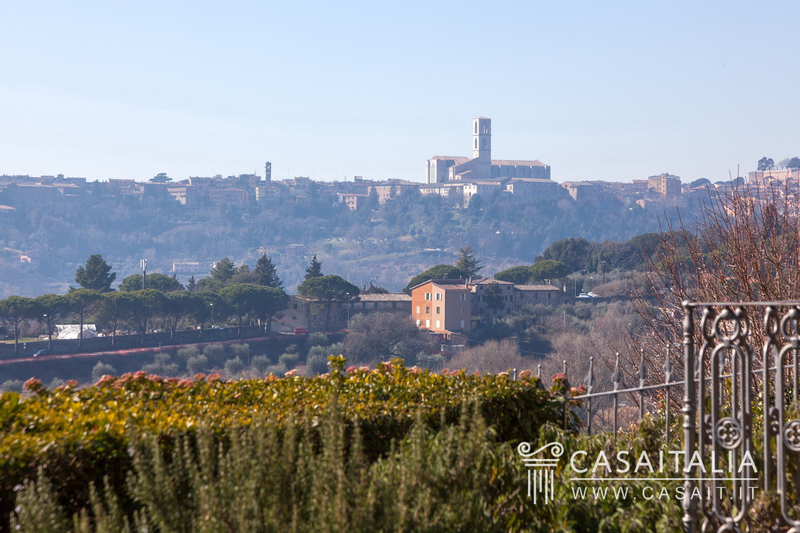 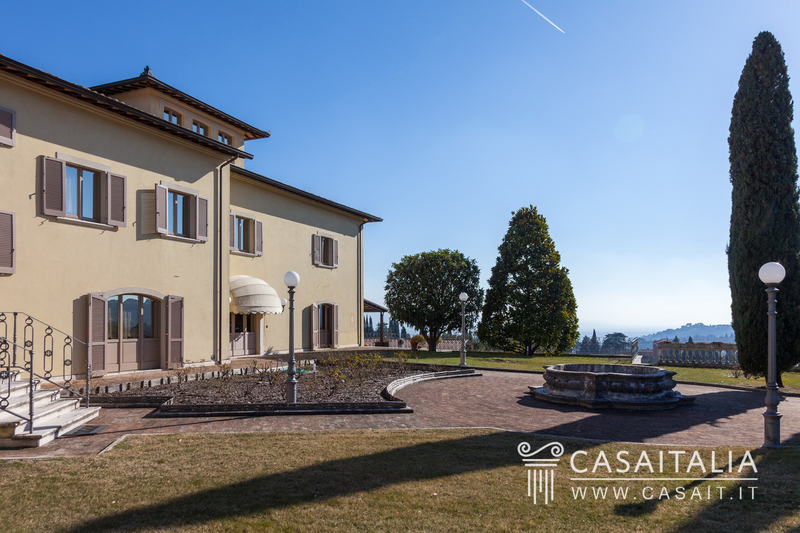 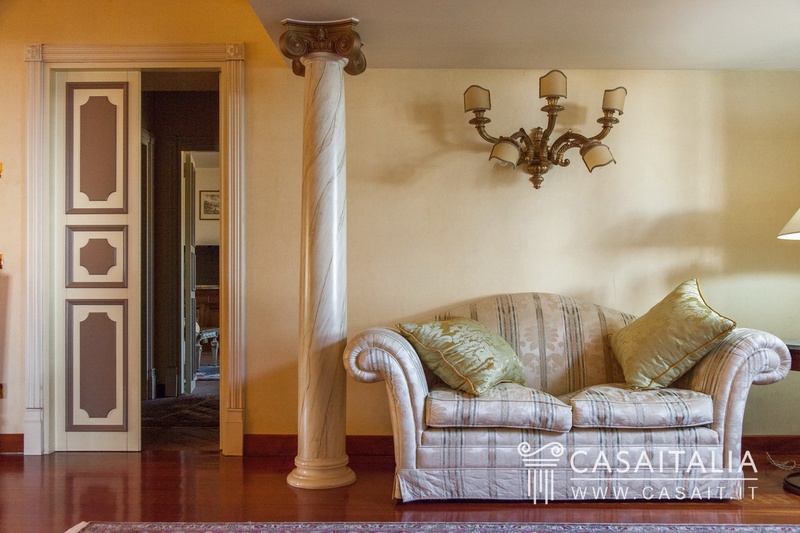 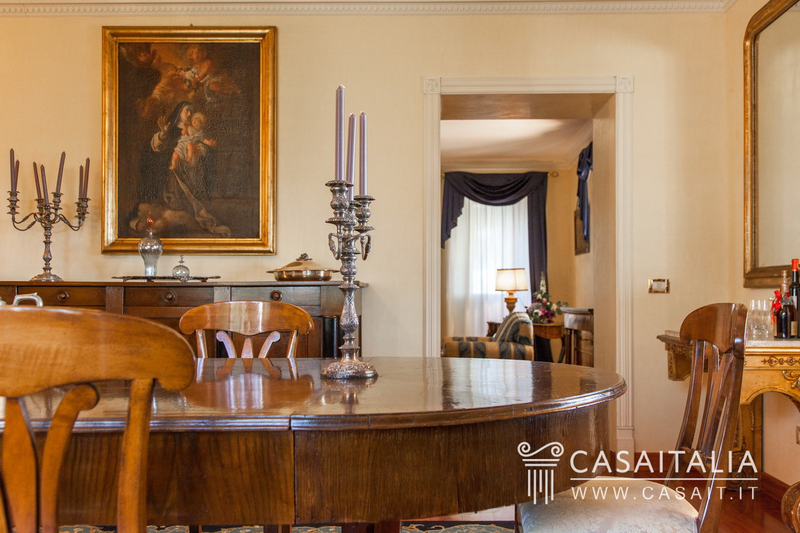 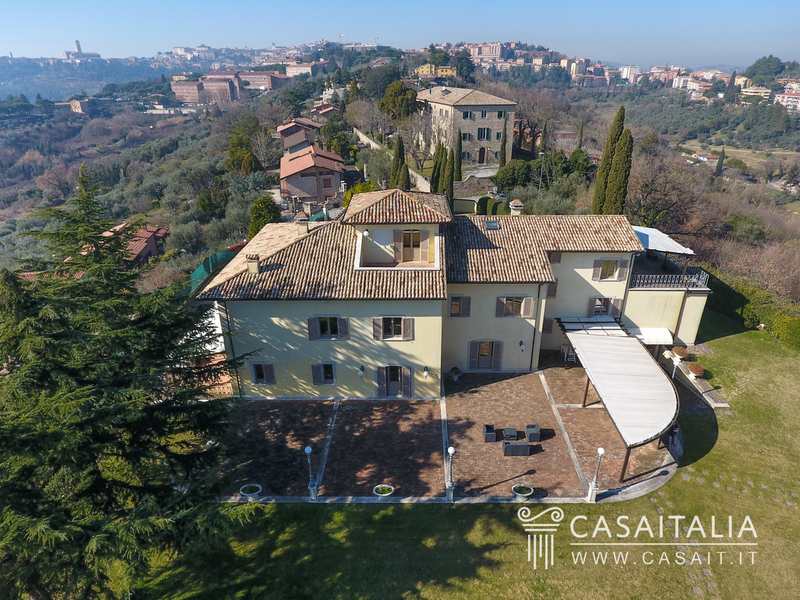 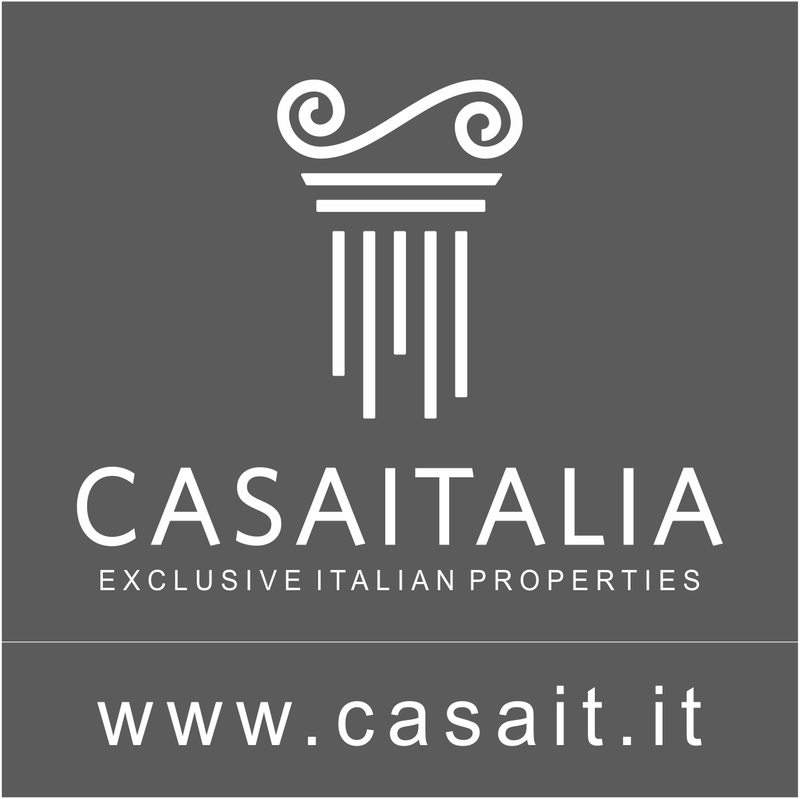 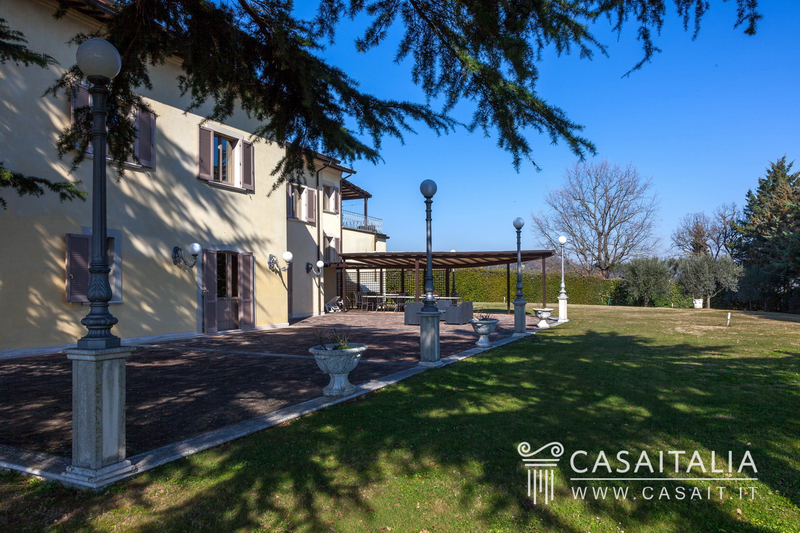 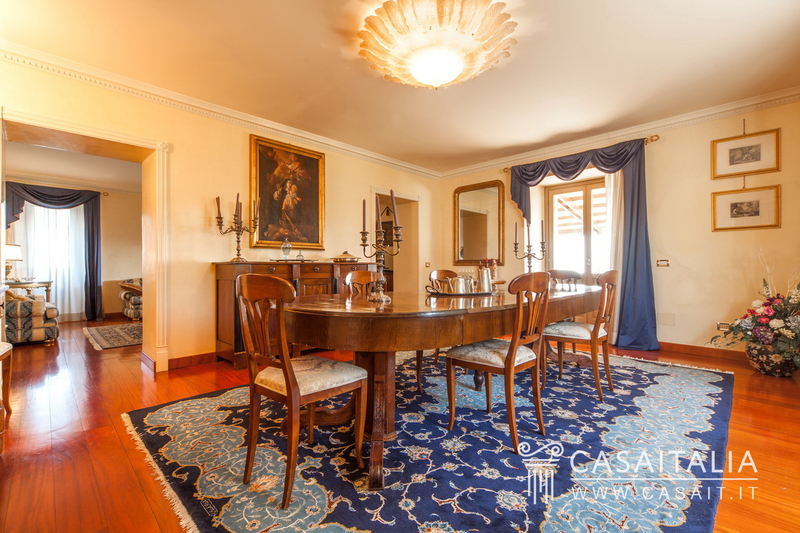 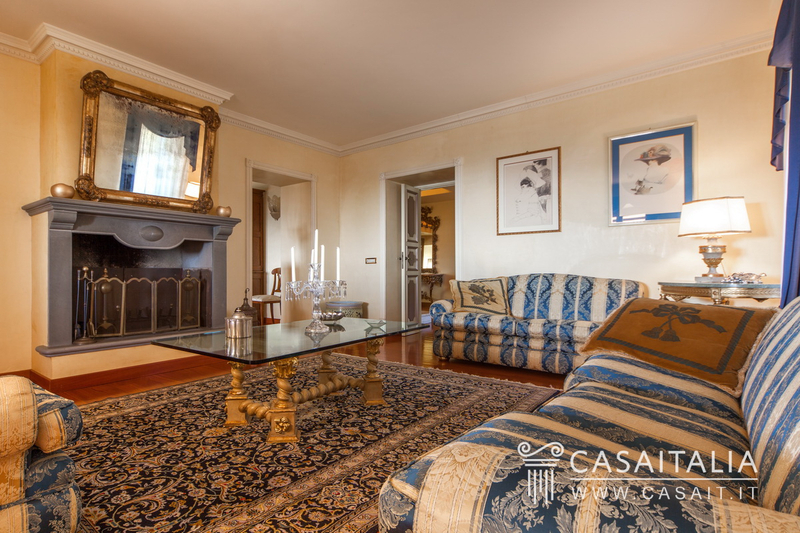 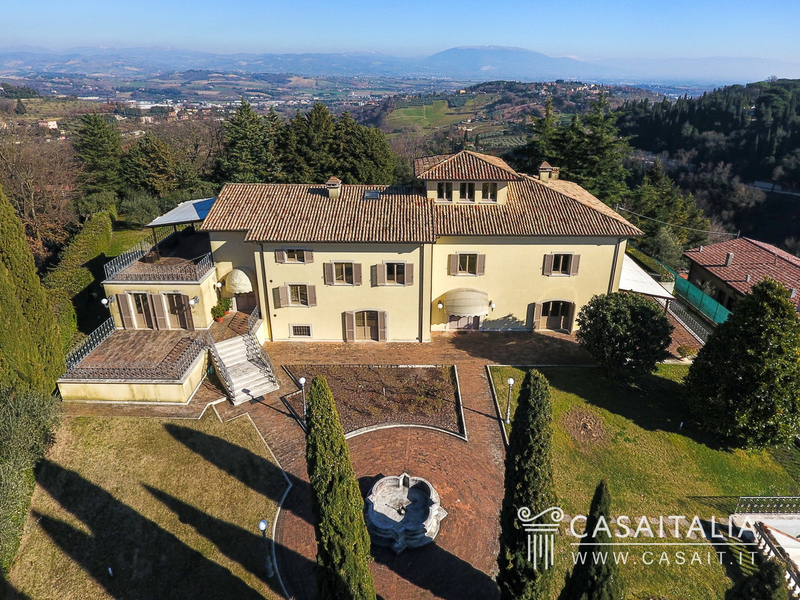 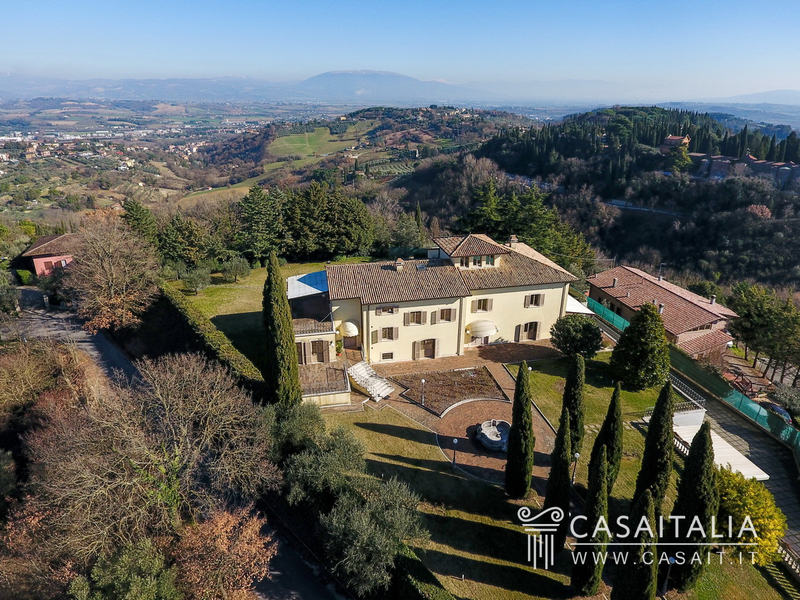 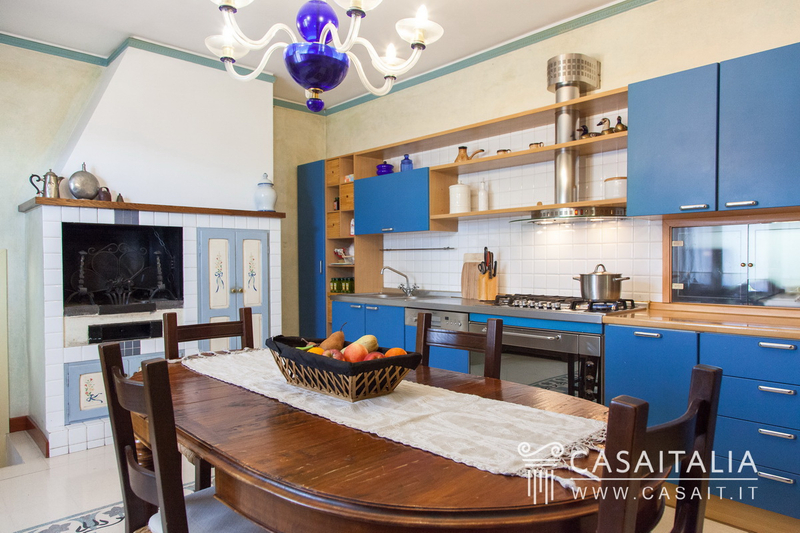 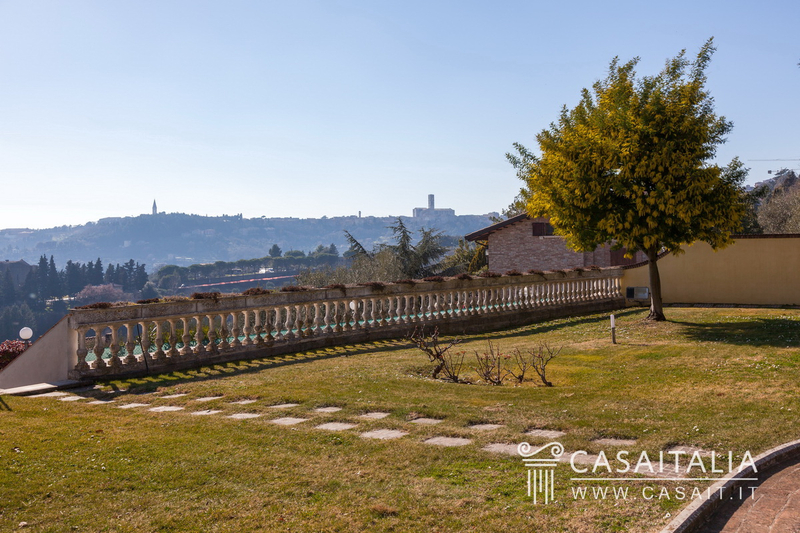 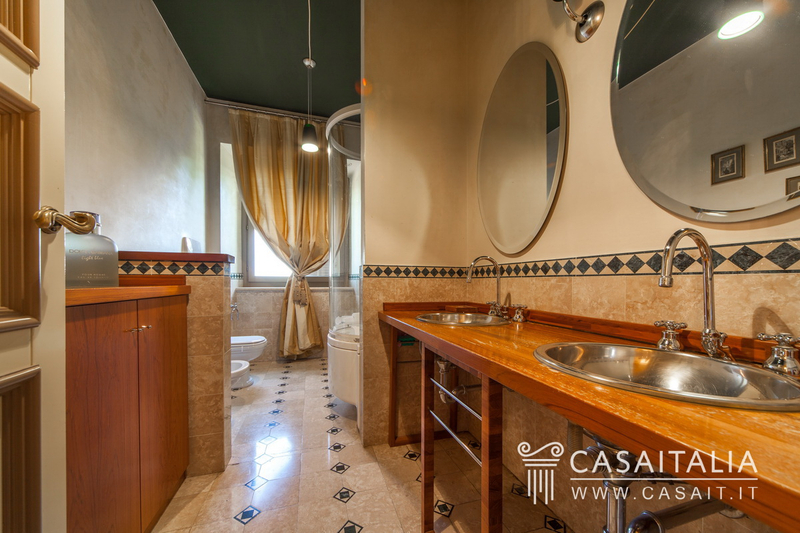 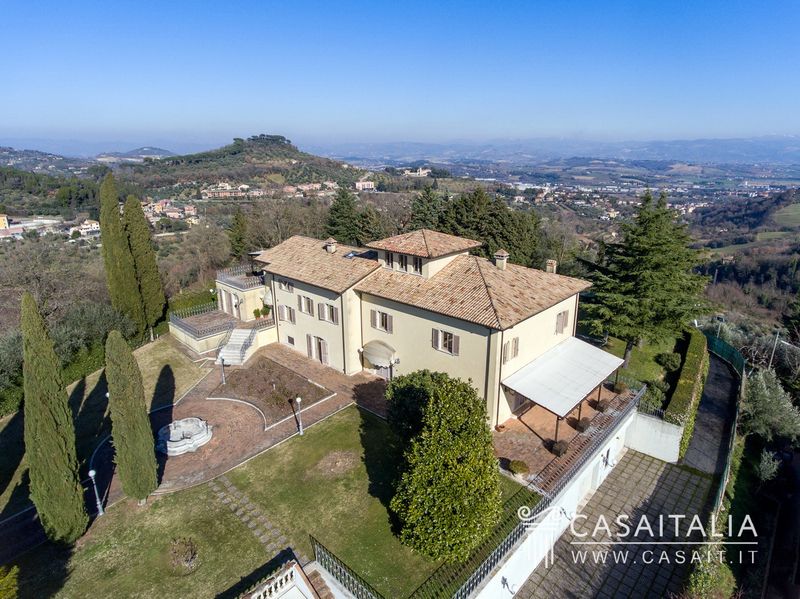 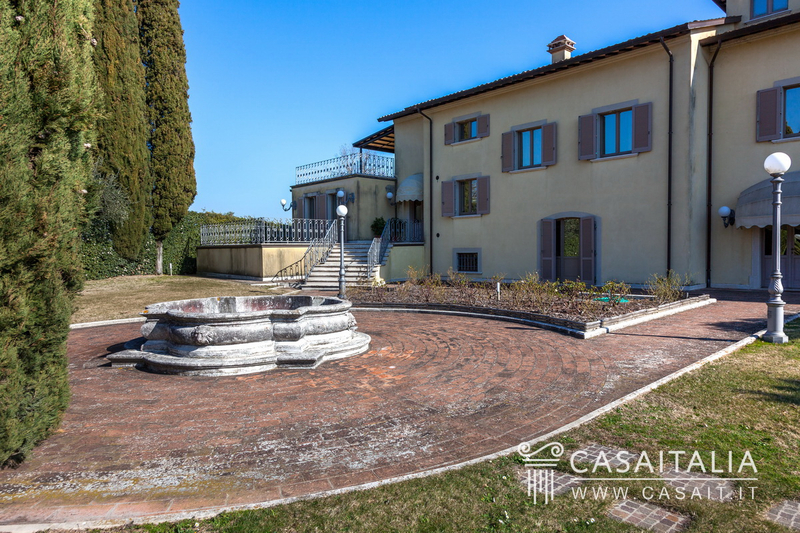 Use and potential uses Ideal as a private residence for one or two families thanks to its convenient location close to Perugia, the villa could also be an investment, renting out the part which is not in use for short periods.